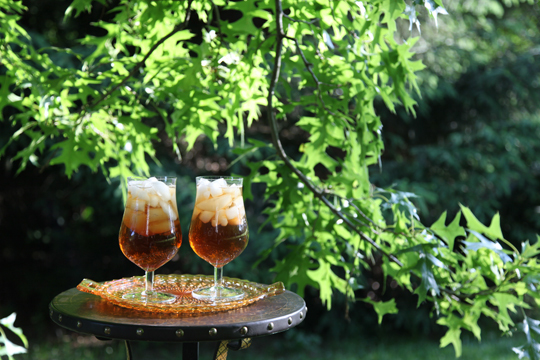 Here is an iced tea recipe with a real Southern flair! 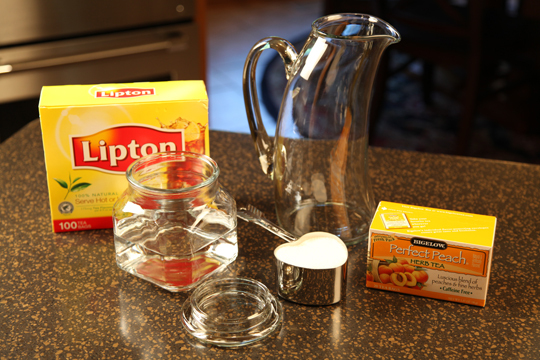 It’s not hard to brew iced tea. 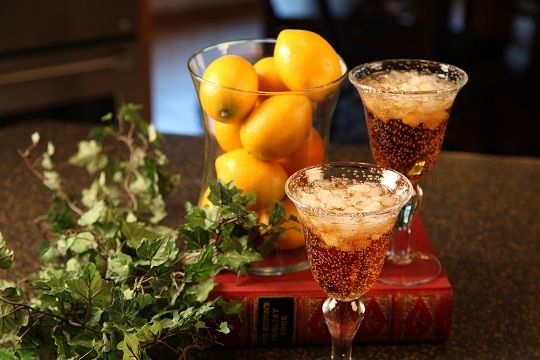 In fact…it’s one of the easiest drinks you can make at home. 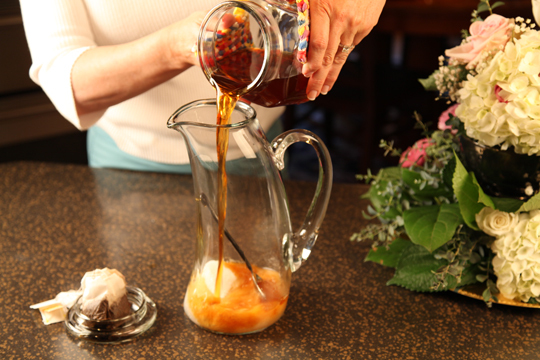 You can almost always find a big pitcher of either this Southern Peach Tea or my Southern Sweet Tea on my kitchen counter — ready for my family to enjoy. My friend, Oma, gave me this recipe and I make it all of the time. I did have trouble finding the Bigelow Peach Tea in our grocery stores so I had to order it off of the internet. But, it was worth the effort…I make this tea all of the time! 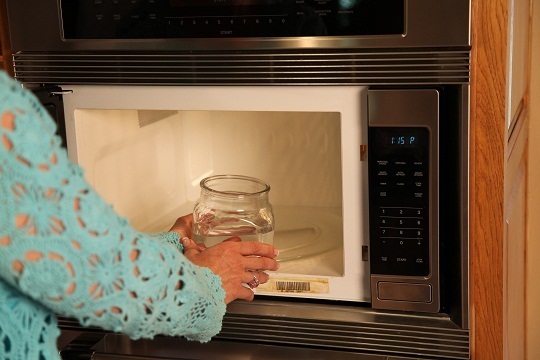 Microwave water in a glass jar for 5 minutes, or until boiling. 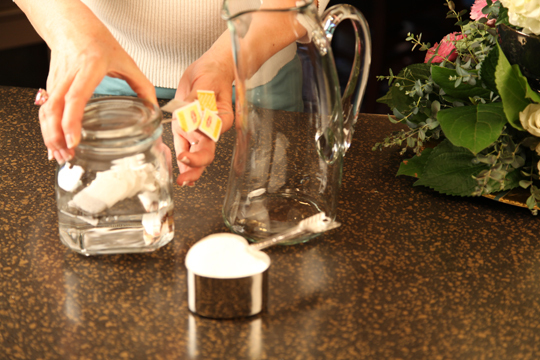 If you don't have a glass jar, then you can boil the water in a pan on the stove. 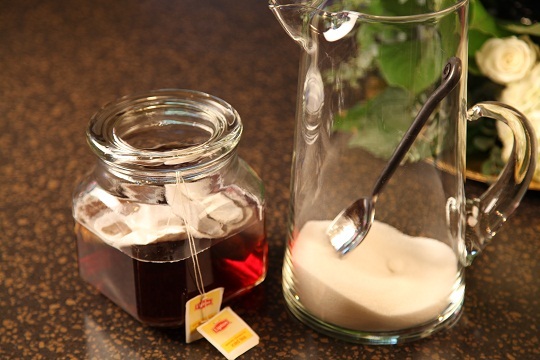 Place the 6 tea bags in the hot water and cover with a lid. Steep the tea bags in the hot water for 5 minutes. 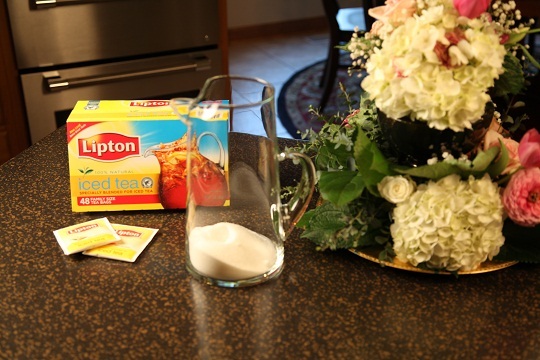 Place a spoon into a glass pitcher - this will help protect your pitcher from cracking when you pour in the steeped hot tea. Add the sugar. Pour the hot tea brew into the pitcher. Remove the spoon and fill with cold water. 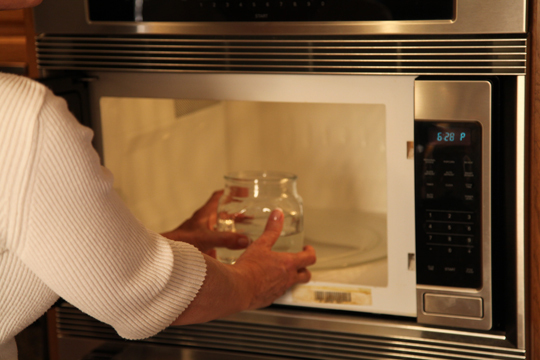 Microwave about 2 cups of water in a glass jar for 5 minutes, or until boiling. OR, you can boil water in a pan on the stove as well. 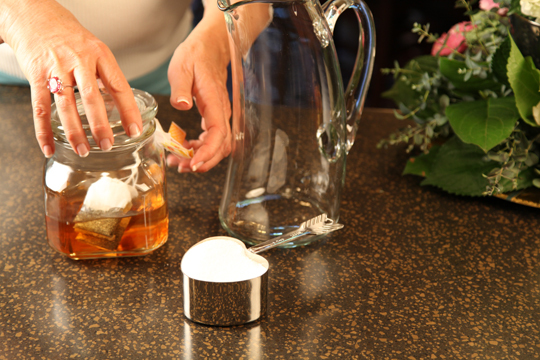 Place the tea bags into the hot water and cover with a lid. Steep the tea bags in the hot water for 5 minutes. 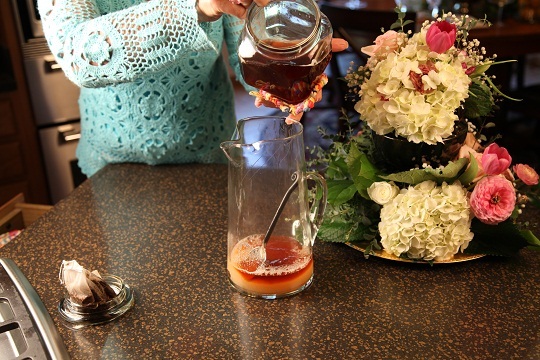 Place a metal spoon into a glass pitcher. This helps to absorb some of the heat and protects your pitcher from cracking when you pour in the hot tea brew. Pour the hot tea brew into the pitcher. 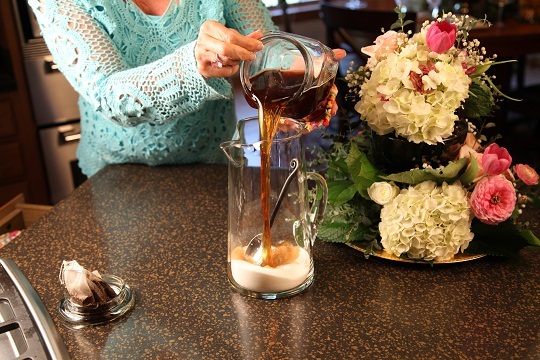 Add the sugar to the pitcher. Stir well and serve the tea over crushed ice. This will give you a great taste of the South! Enjoy! 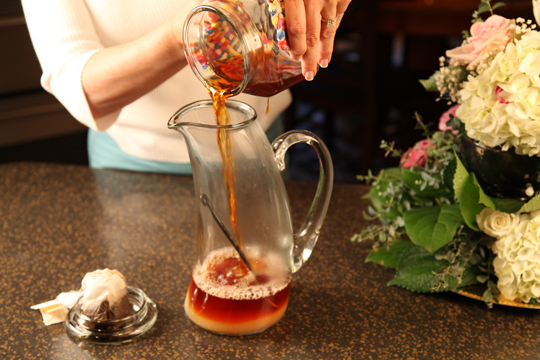 Freshly brewed and sweetened…A real taste of the South!